MATTAWA — Following a high octane chase on Lake Talon which involved a paddleboat and a dog, the Mattawa O.P.P. announced early this morning that they would be ordering an entire fleet of police pursuit paddleboats. Staff Sergeant Tucker explained that each pursuit paddleboat will be painted with the distinct black and white O.P.P. colour scheme, and will be outfitted with a police siren, a 100 watt searchlight, built-in cupholders, a suspect restraint system, a front facing battering ram, emergency paddles and a fire extinguisher. “Some models will also have a hidden taser compartment and a nice place for the dog to sit,” says Tucker. 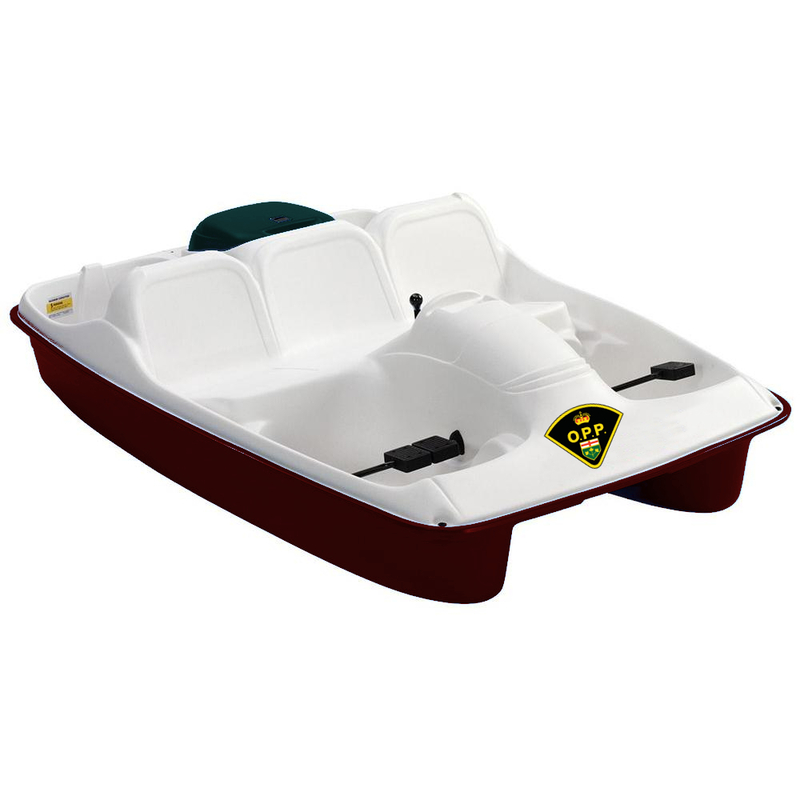 Among the 150 police pursuit paddleboats will be a dozen or more “stealth paddleboats,” though Tucker would not comment on what a stealth paddleboat might feature.